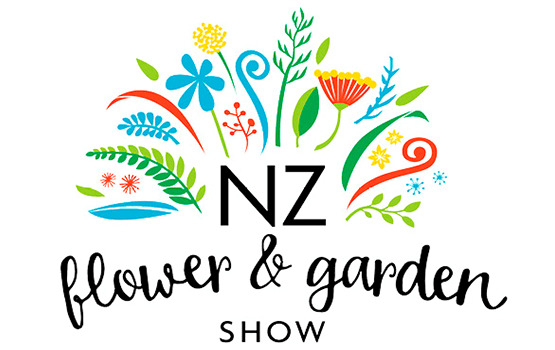 This coming 28th November – 2nd December 2018 from 10am to 6pm daily, Auckland will play host to the second North Island based international flower and garden show following the hugely successful inaugural event in Spring 2017. The New Zealand Flower and Garden Show will be a celebration of modern horticulture and design and will provide visitors of all ages an array of things to do and see. Competitor florists will create a static flower shop and compete for NZFGS award. The flower shop will be designed and named by each competing florist in the theme. All competitors will have a range of tasks to complete each day over the 5 day competition in their flower shop. These will be judged by NZ International qualified judges. 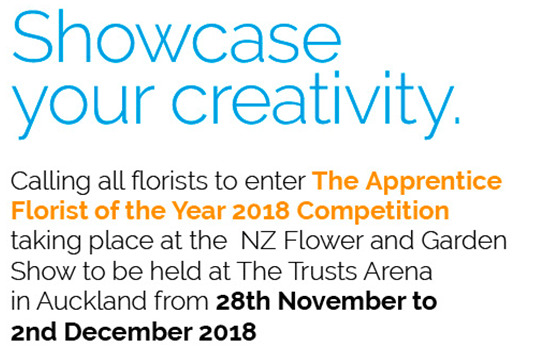 This competition is New Zealand’s only contest of its type for the up-coming apprentice florists. The competition is open to both NZ and Overseas apprentices. The age limit is open. It is an amazing occasion that showcases creativity and potential. The challenge of creating their works in front of thousands of show visitors is a huge learning opportunity and if you are an employer, then you can promote your business. All materials flowers and plant products are supplied by SPONSORS. Accommodation for out Auckland contestants is supplied by SPONSORS. The competition takes place in Auckland at the Trust Arena. Competitors are competing for The Apprentice Florist of year 2018 along with Sponsor trophies and all major prizes. This competition was held at the NZFGS last year in Auckland and was a huge success. We are delighted to be joining with Kate Hillier again this year to present the Apprentice Florist of the Year. Please check out NZFGS for more information on Facebook. The FLONZI committee look forward to welcoming back our sponsors and opening opportunities for all florist, florist schools, flower growers, flower markets, flower wholesalers, floral wholesale accessories suppliers, flower by wire organizations, funeral directors, flower delivery couriers and business who wish to support the florist industry and anyone who is interested in partnering in this highly skilled florist competition challenging our apprentice florists. Want to know more? Please click here!